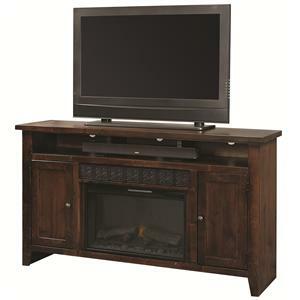 House all of your entertainment equipment within this beautiful 84 inch entertainment unit for tech-savvy storage with a rustic twist. 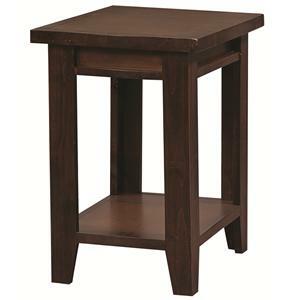 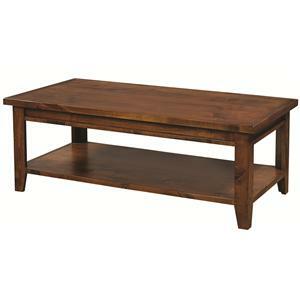 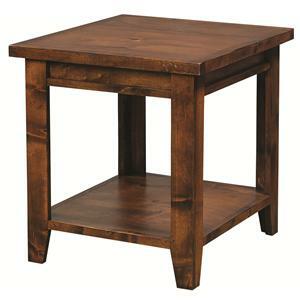 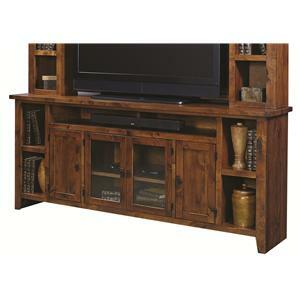 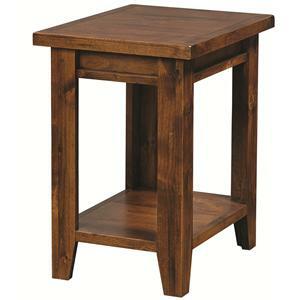 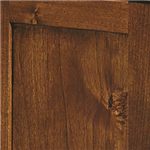 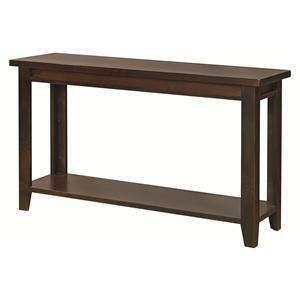 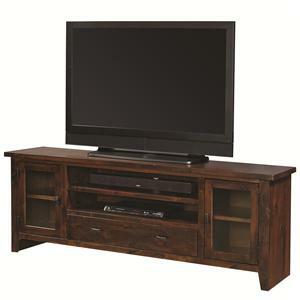 The unit features a warm finish that gives the piece a relaxed, natural tone. 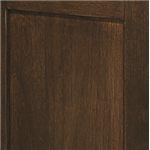 Four doors provide amazing storage, with two outer wood doors and two center wood-framed glass doors. 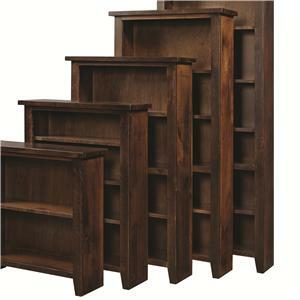 One shelf behind each door allows you to organize your media consoles and accessories to your liking, and one shelf on each end of the base console provides additional open display storage. 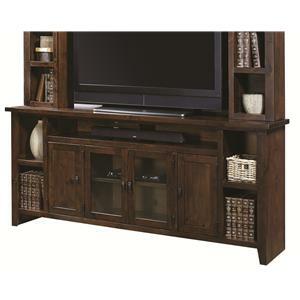 A small sound bar area above the doors can be used for a wide speaker or for various media consoles. 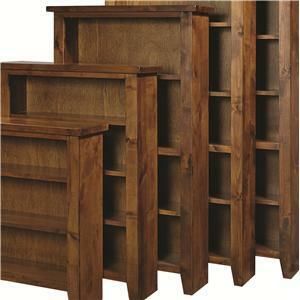 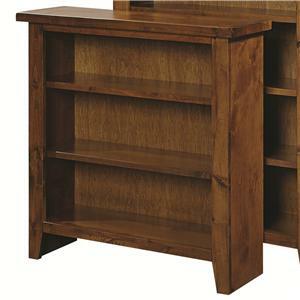 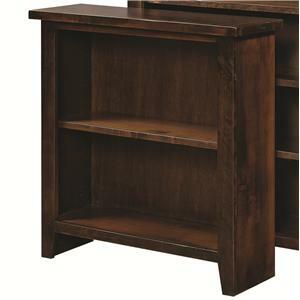 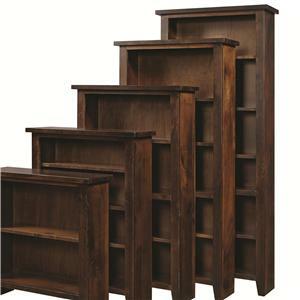 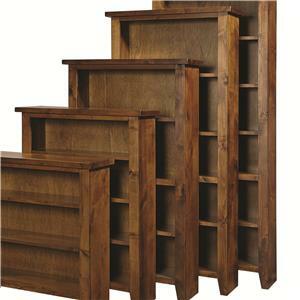 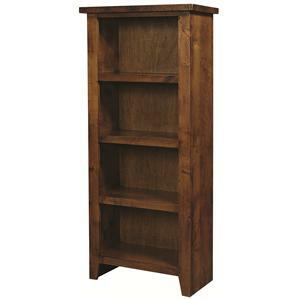 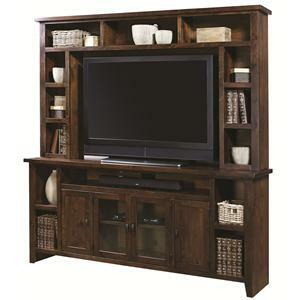 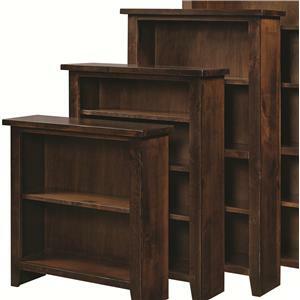 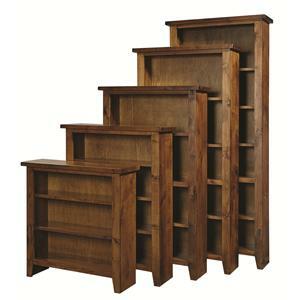 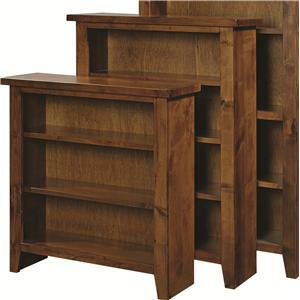 The hutch space provides an additional seven open display shelves perfect for books and decorative home accents. 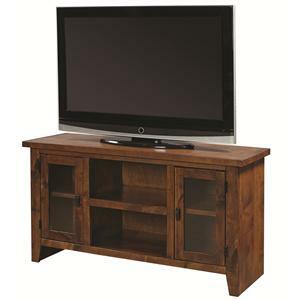 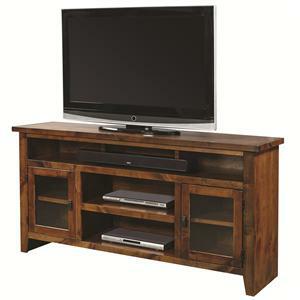 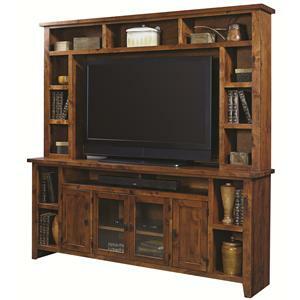 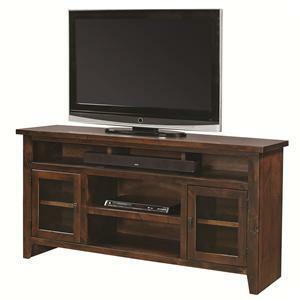 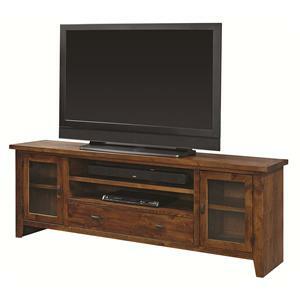 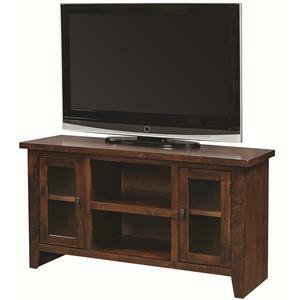 Offering ample storage and a beautiful, rustic design, this entertainment console makes a stunning and practical focal point for your home. 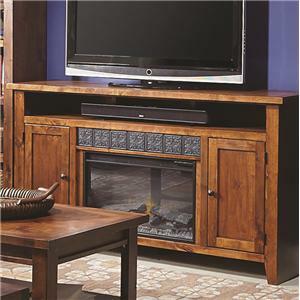 The Alder Grove Entertainment Wall Unit with 4 Doors and Hutch Shelving by Aspenhome is available in the area from FMG - Local Home Furnishing. 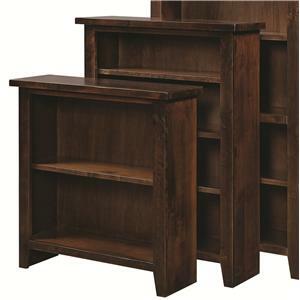 DG1036H-TOB 84" Hutch 1 84" 12" 49"
DG1036-TOB 84" Console 1 84" 18" 36"